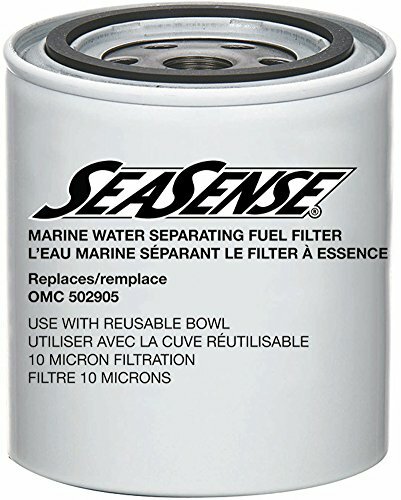 Water separating fuel filter (2 & 4 cycle) Designed for the suction side of the pump, our 10 micron filtration protects from water, dirt and other contaminants. High grade aluminum filter head withstands the harshest marine environments. Quick drain release valve and reusable plastic bowl allow for easy visual inspection and removal of water build up.